Recreate your youth, spending all your pocket money on Streetfighter 2 at the arcades with this mini streetfighter 2 arcade! They also had the Midway greatest hits 4 game arcade for the same price. 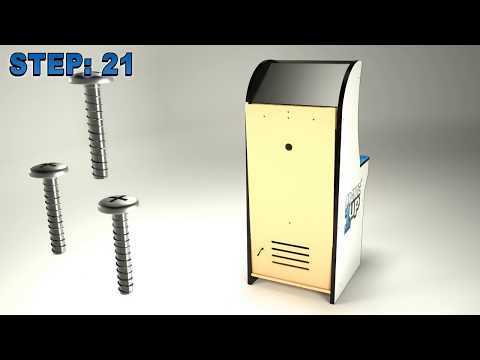 The affordable at home toy arcade game, brings authentic arcade game play into homes. Easy to assemble at home and small enough to fit into a kids bedroom. Not suitable for children under 30 years old as they wont appreciate the heritage. 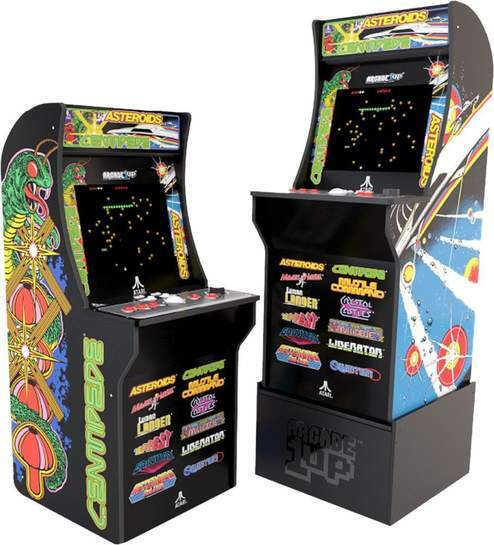 Here's the link to Argos who have the arcade listed at £450. Kids played this it small but was a good laugh.. they do larger ones online but they cost a lot more.. This is a bargain, had one made for more than this. I imagine you can download more games onto it. A great fathers gift and a very good price for a full size cabinet machine. 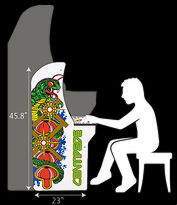 Sounds like my next project, after I build a one foot base to make it pretty much normal arcade height. Looks like a pi kit, launchpad and roms. 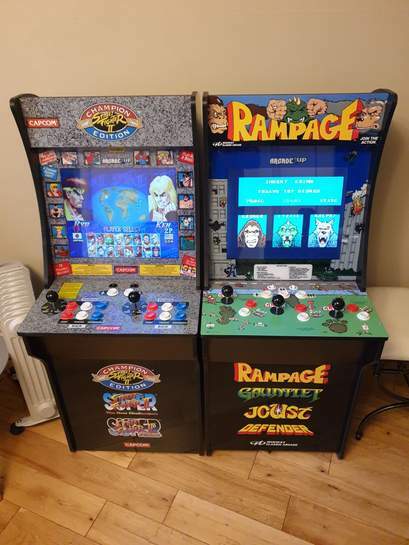 Wish I bought both cabinets now. There's not really such a thing as a "genuine" Capcom cabinet. The classic Street Fighter arcade games were on CPS/CPS II arcade boards that used the JAMMA (Japanese Amusement Machine & Marketing Association) standard system. 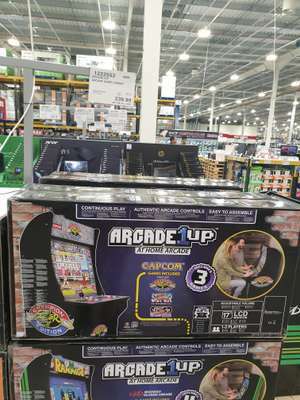 So the cabinets were made by various arcade cabinet manufacturers, Capcom didn't make their own cabinets, they just made their games on the industry standard system for the time, a little like how you have various companies that make Blu-Ray players to a set specification, and a range of publishers who put their stuff out in that format. I think this is a review of this product. From memory it had its pluses and minuses; worth watching if you are considering buying. There's not really such a thing as a "genuine" Capcom cabinet. The classic …There's not really such a thing as a "genuine" Capcom cabinet. The classic Street Fighter arcade games were on CPS/CPS II arcade boards that used the JAMMA (Japanese Amusement Machine & Marketing Association) standard system. 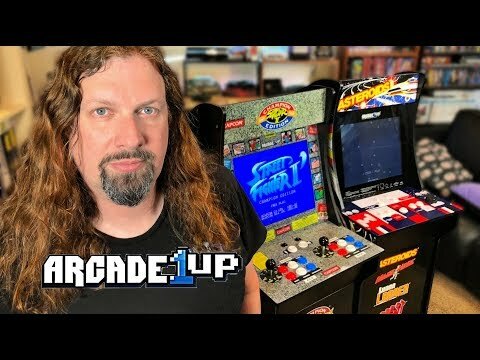 So the cabinets were made by various arcade cabinet manufacturers, Capcom didn't make their own cabinets, they just made their games on the industry standard system for the time, a little like how you have various companies that make Blu-Ray players to a set specification, and a range of publishers who put their stuff out in that format. Thinking about it, yes, you're right. There were varying qualities of cabinets. This looks nothing like the high quality ones I used to stick to. This is a bargain, had one made for more than this. I imagine you can …This is a bargain, had one made for more than this. I imagine you can download more games onto it. A great fathers gift and a very good price for a full size cabinet machine. Build one. They’re not hard and pretty much all the fun is in making it and getting it exactly how you want. Plenty of YouTube reviews on these units, they are indeed self assembly and no you cannot add games to it (unless you replace the guts, raspberry pi / mame board etc) and yes they are small. It’s a shame they changed the game line up on the UK version as it was originally going to have Ghosts and Goblins, Final Fight and Stryder inc with Street Fighter. It’s a shame they changed the game line up on the UK version as it was o …It’s a shame they changed the game line up on the UK version as it was originally going to have Ghosts and Goblins, Final Fight and Stryder inc with Street Fighter. That would have been an amazing arcade to own. Just need one with TMNT and my childhood nostalgia trip would be complete. Thinking about it, yes, you're right. There were varying qualities of …Thinking about it, yes, you're right. There were varying qualities of cabinets. This looks nothing like the high quality ones I used to stick to. Does anybody know if / where we can buy the risers from?? I was told very would be selling them in the new year. Whilst I'd love one of these, I can't help but be put off by the fact that it plays only one game. I have a Picade loaded up with thousands of games and whilst, admittedly, not as impressive as this is definitely does the job and plays the games I want to play. I'd perhaps bite at £150-200 but even then I'd think long and hard about it. And this is coming from somebody who bought a PS One Classics solely to sit on a shelf next to my original Playstations. I got a second one for Christmas. I think they're great little cabinets.